Rideau skateway. Image by Ted Court licensed under Creative Commons. Ottawans probably don’t get a lot of snow days off work. 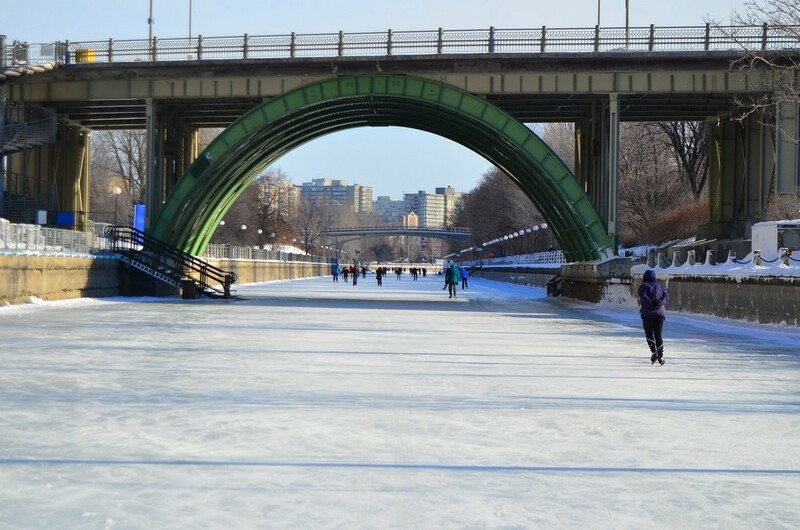 Not with winter commuting options like the Rideau skateway, a four mile long highway for ice skaters. Rideau skateway. Image by Google Maps. During most of the year, Rideau Canal is liquid. It’s an actual, functioning canal. But in the winter it naturally freezes over, so Ottawans take advantage. For the most part the skateway is recreational. Crowds of teenagers and happy couples play there, and advertisers bill it as the “world’s longest ice skating rink,” not as a commuter route. But at least one person commutes on it, and that’s such a cool idea that there are surely many others. It’s almost enough to make you wish DC winters got a bit colder. This post originally ran in 2015, but this week's weather reminded us of it and we wanted to share it again!